discuss the issue of terrorism within the framework of a comprehensive dialogue agreed upon on the sidelines of last year’s Heart of Asia. 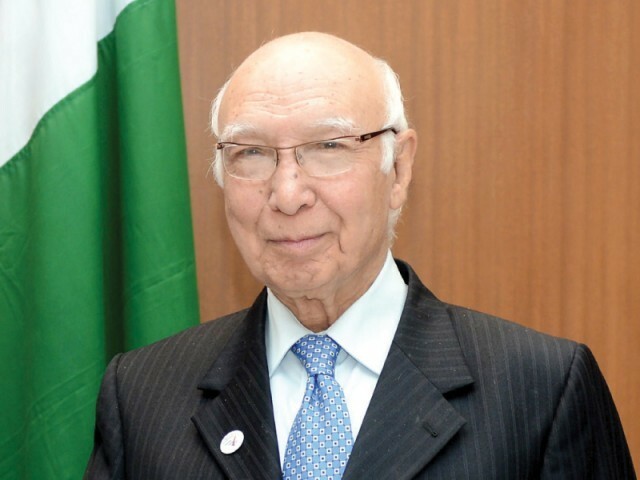 Sartaj Aziz told the Indian newspaper-The Sunday Express on Saturday that he was in Amritsar to show his commitment to Afghanistan’s peace and security. region, and commitment to promote multilateral peace for this purpose,” Aziz said. think we need to request for a meeting. We are here, so we will see how it goes,” Aziz said. dialogue, any issues can be discussed across the table than through the media. If we do not have structured dialogue, then the dialogue through media increases hostility and increases negative perceptions,” Aziz said. under the comprehensive dialogue, when we meet, we can discuss that also,” he said.